Florida’s new car seat rules went into effect at the start of the month. These new rules require children under the age of 6 to use a booster seat when riding in a car. Before the law came into effect, Florida was one of only two states not to have booster seat legislation. According to the Florida Safety Council and other safety experts, the new law is a step in the right direction in keeping children safe in cars. 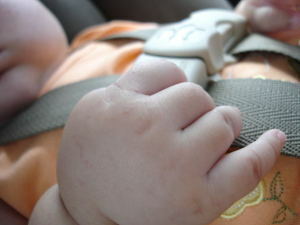 Many children who are too tall or heavy car seat still cannot use seat belts safely. Seat belts are designed for adults. Children who use them could be seriously injured in a car accident. If a young child is wearing a seat belt during a car crash in Hollywood or any Florida community, a seat belt can cut into their neck, face, or chest. In some cases, it may fail to restrain the child correctly, leading to serious injury. 1) Sit down with your children and explain the importance of booster seats. Explain that the booster seat is a law now and there are consequences to breaking the law. Talk about safety and the importance of preventing injury. In some cases, children may be more willing to use a booster seat if they understand why it is important. 2) Continue to use a car seat until your child’s weight is too large. There is no rush. According to the NHTSA, it is best to keep a child in a 5-point harness seat until their height and weight require a booster seat. Always read manufacturer’s directions to make sure you are using any safety restraint correctly. 3) Take your child booster seat shopping with you. Your child may respond better to the idea of a booster seat if they have at least some say in which seat is chosen. Give your child a chance to try different seats and choose seats that are comfortable and the “right” color. 4) Buy more than one seat. Having an extra seat for grandparents and caregivers ensures your child always uses a booster seat, even if they are not riding with you. 5) Get used to the idea of a booster seat gradually. If your child is still using a 5-pint harness, consider keeping a booster seat in the car or in the home where it is visible. Discuss how much more movement they will enjoy in the booster seat intended for “older” kids. This can help build anticipation about the booster seat. If you think your child may be really resistant to the idea of a booster seat, consider a treat that is used only with the booster seat. This can mean a special treat, DVD, game, or book that can only be used with the seat and at no other time. This way, the seat will be associated with something fun and special. 7) Get other adults involved. Let your child see other kids their age using booster seats without a problem or get other adults in their life – teachers, uncles, family friends, or grandparents – to talk about the importance of booster seats. If it seems that everyone agrees about the importance of the safety system, it may be easier for your child to accept that they really are that important. Has your child been injured by a faulty restraint system or in a car accident? The attorneys at Flaxman Law Group are based right in Hollywood and serve the entire South Florida area. Our law firm can set up a free, no commitment consultation so that you can discuss your legal rights with our team.